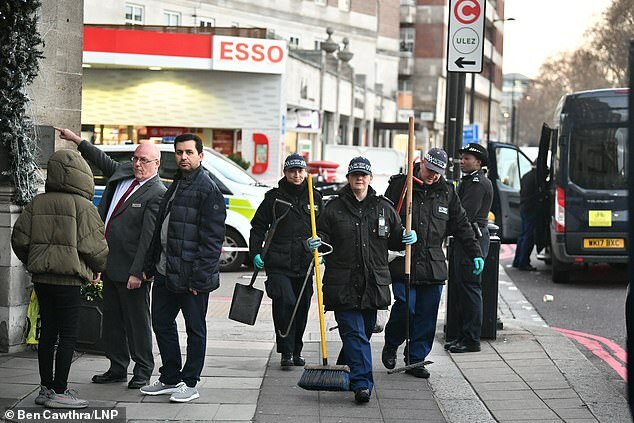 A bouncer at a private party in London's exclusive Mayfair district was knifed to death as 2019 got off to a bloody start in the capital. The security guard is understood to have been trying to stop a group of men from entering the party when he was fatally wounded. 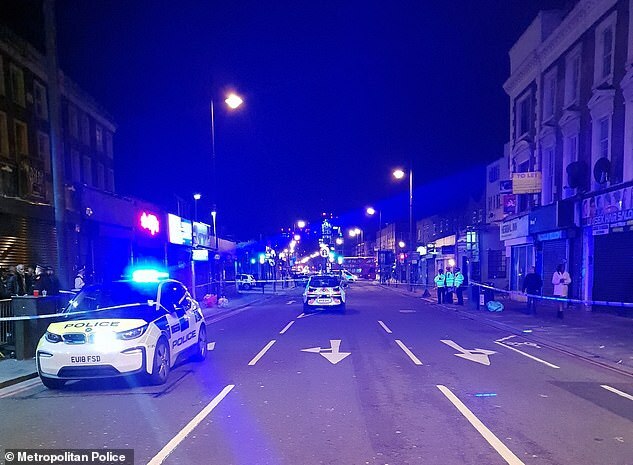 Two other men - aged 37 and 29 - and a 29-year-old woman were also stabbed in the carnage on Park Lane at around 5.30am this morning. Meanwhile, a woman was stabbed to death at her home in Camberwell, in the south of the city, at 4.20am. 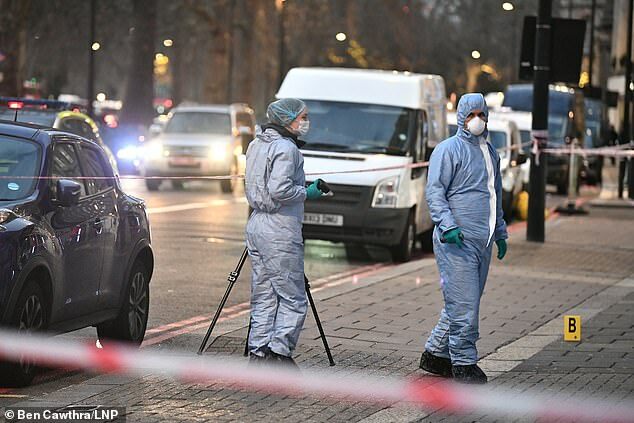 The two deaths followed the capital's deadliest year since 2008 which ended last night with 132 people murdered in London over the past 12 months. This morning, police were called at 5.36am to a property on Park Lane in Mayfair to reports of a stabbing, and attended with London Ambulance Service paramedics. The doorman, said to be in his early 30s, was found with stab injuries following the private party and pronounced dead at 6.05am. Officers have not made any arrests. Scotland Yard Detective Chief Inspector Andy Partridge said: 'The incident took place outside a venue that was hosting a private party. 'I would like to hear from anyone who was present at that event and witnessed this incident. A number of witnesses have already been spoken to. 'But it is clear many others who were present are yet to be traced, some of whom may have captured the attack on their mobile phones. 'It appears the deceased and the two injured males were working as security staff for the party. They were attacked by a group of males who were outside trying to enter the venue. 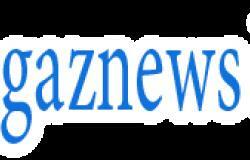 'The female was also attacked as she assisted the security staff in closing the front door of the premises. The discovery of a man's body lying on a grass verge in a suburb was at the centre of a police probe today. The victim was discovered at first light and police set up a forensic tent after placing a white rug over his body. The man's body was spotted near the back of a Co-op store in the Tilehurst area of Reading, Berkshire. Thames Valley Police said the death was being treated as unexplained and a team of forensic experts had been sent to the scene to examine the area. The man's body will soon be taken to a mortuary at the Royal Berkshire Hospital where a pathologist will carry out a post mortem examination. Rising gun and knife crime brought the total 2018 figure of homicides being investigated by Scotland Yard to 134 - the highest since 2008 when there were 154. 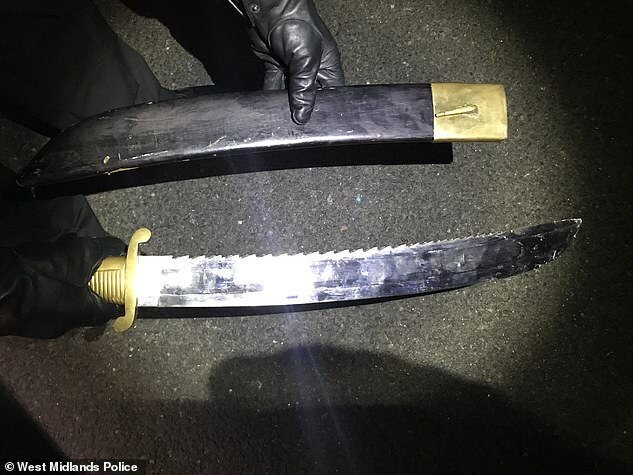 Police are battling against 180 violent gangs across London dragging children into crime, amid more than 70 deaths last year involving a knife, and a dozen with a gun. Today, Metropolitan Police officers were called to the house in Camberwell, South East London, at 4.20am – and the woman was pronounced dead half an hour later. A 34-year-old man was arrested at the scene on suspicion of attempted murder and was taken to a police station where he remained in custody this afternoon. A crowd of about 15 people, believed to be friends and relatives of the victim, gathered near the scene of the murder this afternoon - but declined to speak. Flowers have been laid outside the home, and one card read: 'Loved by everyone'. 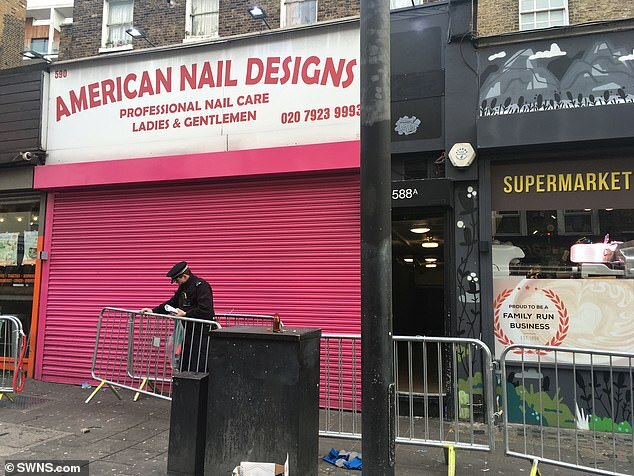 Speaking about the attack in Camberwell, a police spokesman said: 'A man has been arrested after a woman was fatally stabbed at a residential address in Southwark. 'Police were called by the London Ambulance Service to a property in Camberwell at 4.20am on January 1 to a report of a stabbing. 'Officers attended and found a woman, aged in her early 30s, with stab injuries. Despite the efforts of paramedics, she was pronounced dead at 4.50am. 'Her next of kin have not been informed. Formal identification is yet to take place. A post-mortem examination will be held in due course. 'A man, aged 34, was initially arrested at the scene on suspicion of attempted murder. He has been taken to a south London police station where he remains custody. Meanwhile police insisted today that they are powerless to arrest 'violent drunken idiots' as New Year's Eve celebrations descended into chaos across Wild West Britain. 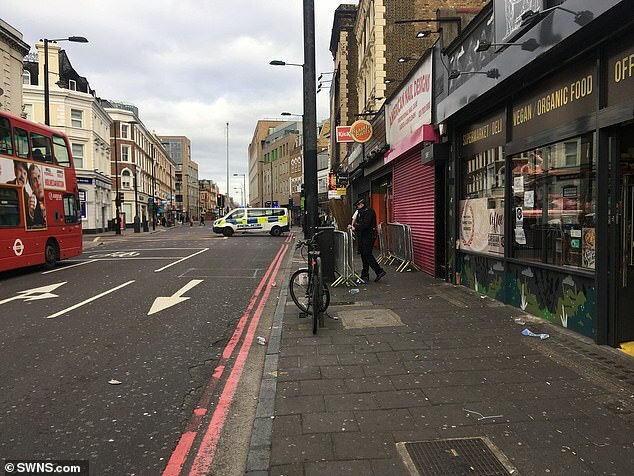 One woman in her 20s was shot at a nightclub in Dalston, East London, while a drunken thug in the West Midlands attacked a partygoer with a 2ft sword. In Essex, a youth was stabbed once in the stomach at Club 195 in Epping after being involved in 'a verbal exchange' with a group of men on the dancefloor. Richard Cooke, chairman of the West Midlands Police Federation, said officers are becoming powerless to arrest 'violent or aggressive drunken idiots' due to cuts.